It’s orientation day at the Smooth Move company. To become certified Furniture Arrangement & Relocation Technician (F.A.R.T), employees need to pop the training tape into the VCR and take in the dos and don’ts of moving furniture. Guided by narrator Mick “RicePirate” Lauer, players will learn the ropes in a series of increasingly precarious and fantastical instructional lessons. These span everything from unloading cargo off moving planes to smuggling giraffes out of the zoo and transporting goods to strange locales like haunted houses and outer space. No matter what the job entails, customers appreciate prompt delivery. So, whether on a heist or doing a repo job, load as much into the truck as possible before zooming off to the next gig. How freight gets from one place to another is entirely up to players, though, so toss the manual out the window and get creative. Break down the walls, throw things, and use technology like portals and ray guns across more than 50 levels. Anything goes, as long as the work gets done! 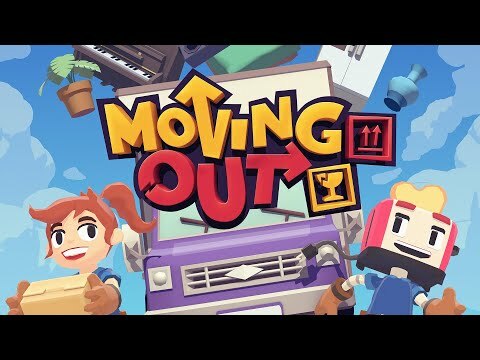 The upcoming Moving Out PC, PS4, Switch and Xbox One release date is Q2 2019 in the US and the UK. Notify me when Moving Out is available.